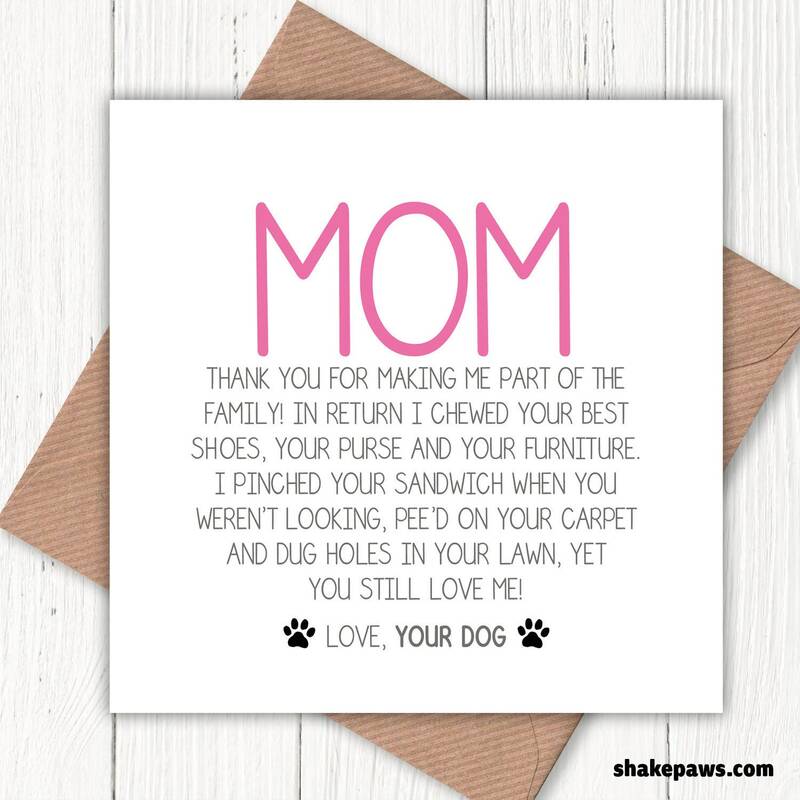 Send our Funny Mum greetings card to the dog-loving mom in your life. Suitable for birthdays and Mother’s Day, or any other occasion when you want to put a smile on mom’s face. As a dog lover, we’re sure she will appreciate it.